Florals are the perfect print for the Spring months, but I have to say, I am loving transitioning these prints right into the Fall. 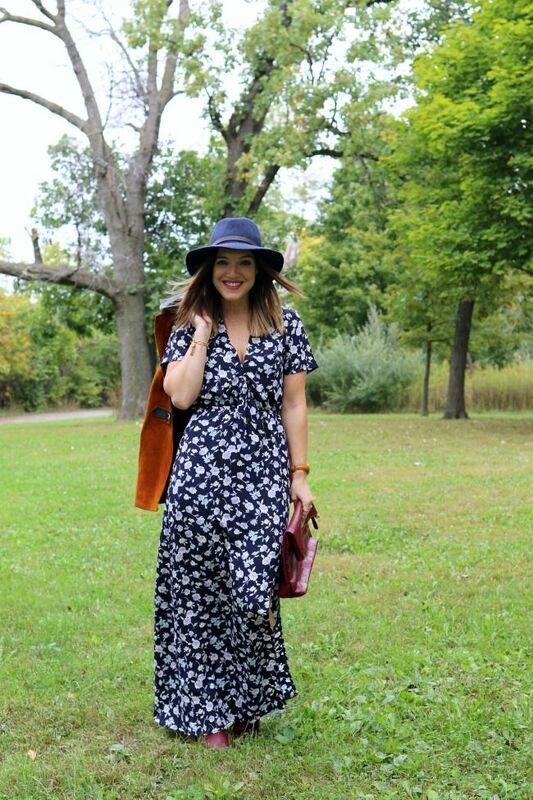 By simply alternating my accessories, this summer maxi takes on an entirely new look! Brown, oxblood, and gold were the perfect pops of color to finish off my Fall florals outfit. Now, let's talk about this amazing cape. When I was in Austin, TX fourteen months ago, I found this cape at a vintage store. I could not believe what wonderful condition it was in! Obviously I purchased it about 5 seconds later. ;) I wish I knew the story of it. I like to think it wrapped around the shoulders of some glamorous lady back in the late 1960's. Can't you just picture it? 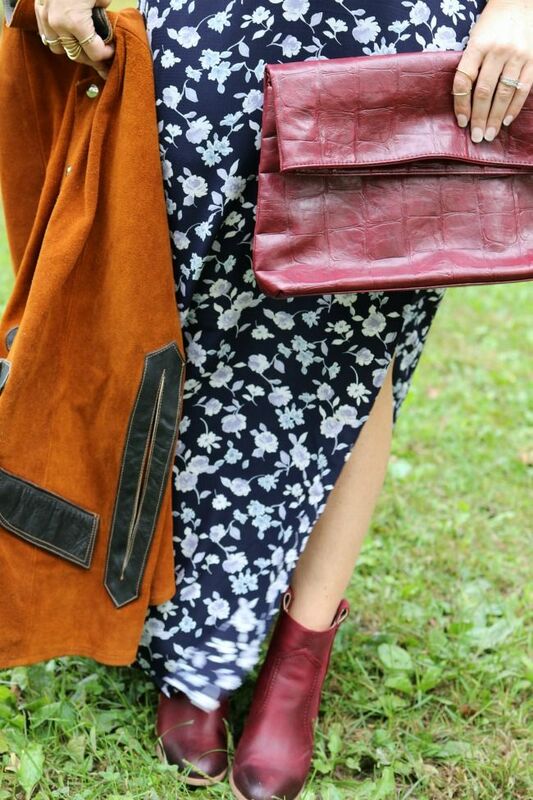 Do you style your florals for Fall? Are you a fan of vintage finds?